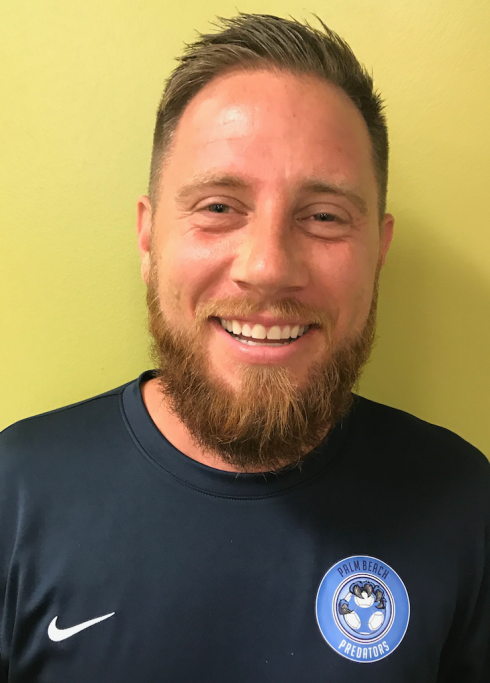 Arbuzow returns to the Predators after spending the 2017/18 season as the 2003 Girls White Coach, Palm Beach United Development Academy Director and U13 Coach, and North County United PDL Head Coach. At the helm of the 2003 Girls White, the team’s success in 2017 was mapped by competing in 28 games between the Region III Premier League and tournaments combined, losing only 5 of those matches. The team attended four tournaments and advanced to the Championship of every tournament they competed in, winning two of the four. They are currently still competing in the 2018 Florida State Cup. As the Academy Director and U13 Coach at Palm Beach United, Arbuzow helped launch the premier Development Academy Program in Palm Beach County for players U12 through U14. In his first year as Academy Director, he was able to successfully place 13 of his 40 Academy players at MLS Academy clubs on trails and training stints. Currently, two players have accepted residency options at Portland Timbers Academy and Minnesota United Academy while moving several others into partner DA clubs Weston and Boca United. Palm Beach United also placed 12 of the 18 players into the National Training Centers at the 2004 age group. Arbuzow has also helped place five players from the PDL to the professional game, including 2017 PDL #1 Prospect Darwin Espinal to the San Jose Earthquakes. Prior to joining the Predators, Arbuzow served as the Assistant Coach in 2015 for the Tampa Bay Rowdies of the North American Soccer League (NASL) under former US U20 Men’s National Team Head Coach Thomas Rongen and current Rowdies Head Coach Stuart Campbell. With over 15 years coaching and professional soccer experience behind him, Arbuzow spent the early years of his coaching career working under the renowned Josef Schulz (the man who discovered Jozy Altidore) at the Schulz Academy as a Technical Director and coach for the US Developmental Academy staff, which competed in the 2007 USDA Finals. He later became the Director of Coaching of a youth club in Palm Beach Gardens, FL and within 18 months under his leadership, helped transform that club from 3 teams into nearly 30. Throughout its existence, that club produced nearly 20 US Youth National Team pool players on both the boys and girls sides. Arbuzow left the youth game for a collegiate position, working at one of the best NJCAA programs in the country under Mark Mckeever at Young Harris College. He also mentored under former US Soccer Staff Coach Logan T. Fleck at Stetson University as an Assistant Coach before relocating to New Jersey and joining the prestigious New York Red Bulls Academy and Training Programs, then the highest ranked academy and system of development in the country. As part of the Red Bulls, he was exposed to all facets of the MLS organization and global marketing powerhouse, from assisting in academy technical and tactical team trainings to observing and attending first team trainings and preseason camp. During his time with the Red Bulls Academy and Training Programs, Arbuzow was able to work with current first team players Tyler Adams, Alex Muyl, Derrick Etienne Jr., along with world class signings Thierry Henry, Rafa Marquez, and Tim Cahill. His experience at the Red Bulls paved his path to join the former four-time US U20 Men’s World Cup Head Coach, MLS Cup Winner and MLS Coach of the Year, Thomas Rongen, at the Tampa Bay Rowdies. Arbuzow is also the owner of Hyper Elite Training, an exclusive training program designed for professional players as well as MLS Academy bound prospects. He has worked with over 80 professional players privately whom have represented their respective club teams and national teams in events as prestigious as the FIFA World Cup and the UEFA Champions League. Some of his players include former US Men’s National Team players Eddie Johnson, Freddy Adu, and Oguchi Onyewu. Arbuzow holds his USSF “A” License and was previously a National Staff Instructor for the National Soccer Coaches Association of America (NSCAA), and a staff coach for US Soccer in the National Training Centers. He has also completed the ProZone video analysis courses and his Director of Coaching diploma. He also holds his Associate of Arts from the University of North Florida, Bachelor of Arts in Communications from Florida Atlantic University and a certificate in Ethnic Studies. He currently resides in Jupiter, FL with his son Ethan.